When our RV was recently rear ended and, in the end, “totaled” by the insurance company, we had to decide if we wanted to buy the same type of RV or move into something different, which prompted me to put together a blog with all the things we considered for our next RV. Before purchasing your first RV or even when you are thinking about switching to something different, here are some things to ask yourself. How Much Do You Want To Move? Do you prefer constant movement or to stay put in one place for a long time?​ Personally, I like constant movement so being in a relatively small motorhome (or van) works for us because it is easy to move from one place to the next, while towing a trailer requires a lot more effort to hitch up and go. Even though fifth wheels tend to provide more efficient use of space, they tend to be larger, more cumbersome and not ideal if you want to travel to off-the-beaten path locations like we do. But trailers and fifth wheels can be nice if you are traveling and staying in one place for a few days or longer because you can drop the trailer in your campsite and then use your vehicle to go explore the area. For our large family, a fifth wheel would be perfect if we saw ourselves living for months at a time in RV parks and not on forest service roads. If you want a life on the move, choose a motorhome or van. If you want a home base/campground to explore from, go for the trailer option. What’s your intention for the first few years of owning an RV. 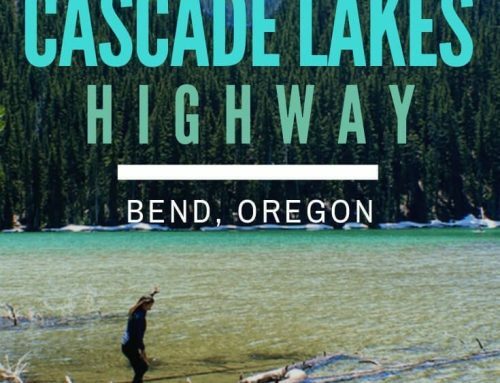 If your goal is to see as many national parks as possible or to get into remote areas, then you don’t want anything too long since the campgrounds inside the parks are usually small to drive through and to be able to park in. 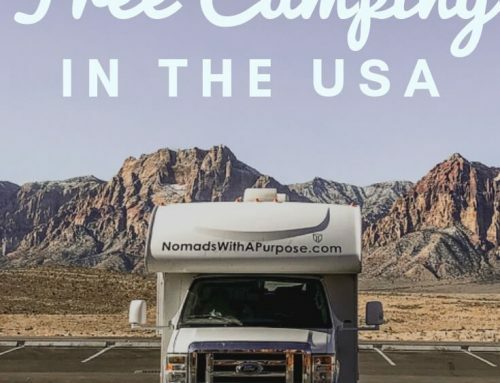 I personally think camping inside a national park is a must so that is a big reason we have a thirty foot motorhome instead of something much larger. Going into cities or anywhere near the coast is similar. Roads get quite narrow as you go into cities, especially big cities, so having a smaller RV makes getting into cities much easier. Unless you have a lot of experience driving a trailer, you don’t want to make a U-turn with a trailer in the middle of a city. This is where Class B motor homes, conversion vans, or regular automobiles can be a much better way to travel. When we were mostly just going out to the desert, having a longer trailer was fine because it was pretty much a straight shot on big highways and we didn’t have to navigate smaller roads. One year we drove my uncle’s 40-foot fifth wheel from Montana to San Diego via the Oregon coastline. This was not one of our better ideas. Getting in and out of campgrounds and through many of the cities along highway 101 was difficult, to say the least. It also meant we couldn’t drive Highway 1 back through California because there is a limit to certain vehicles based on how long between your hitch and back axle. If you are trying to get into national parks, down bumpy forest roads, or into a lot of cities, consider going as small as possible. If you plan on living in a campground, then go for more space and comfort with a larger RV. Having enough beds for everyone in your family is, of course, a must. Make sure the beds are long enough to sleep older kids comfortably. Having a comfortable bed is important. Three years in and we are needig to remodel because some of the kids just don’t fit in their beds anymore. Also consider if your kids will want to bring friends along. For a long time, we’d bring the cousins along and it was nice being able to have enough beds for them. Think about how big of a bed your child will need in the next few years, not just for right now. But don’t worry about ten years from now. A lot can change by then and you’ll probably want a different RV by then. 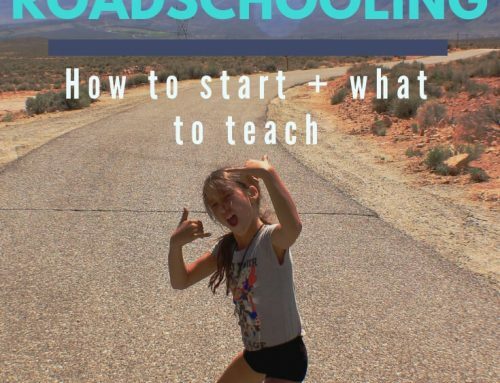 Since we tend to go on long road trips with young kids, having a motorhome allows us to move around inside a little while traveling and not have to stop to use the bathroom. When we were only doing local trips we had a fifth wheel, which meant everyone had to squish into the truck for a 3 hour drive. Technically in California, you can have people in the fifth wheel while you drive as long as they have communication, but I don’t recommend it. As a kid, I mostly camped in a truck with a camper shell. There were only 4 of us so my parents slept above the cab and the table made into a bed for my sister and I. There wasn’t much room to walk around and the kitchen was small, but what I remember was that it was fun to travel in because we could easily move into the cab of the truck or play in the back while driving (seat belt laws were different then). If you are wanting to explore far, but have a “home base” campground, then dropping your trailer and exploring with your vehicle is easy and you can commit to occasionally driving long sections being more uncomfortable. If you are thinking of driving coast-to-coast and only stopping every few days in a new place, a motorhome or van is probably better. Would You Rather Not Stop? Another benefit of traveling in a motorhome is that you can cook, eat, and use the restroom without having to pull over, which saves us a lot of time especially with kids. Technically you are supposed to wear seat belts the entire time while traveling in an RV (including all the passengers). When we were in France, we did “get pulled over once because I was cooking while driving. The French police were very nice, but it was a good reminder for me to follow the rules. I don’t recommend standing while driving, but it is nice having a motorhome when driving long distances even if it’s just to grab a snack from the fridge or take a kid to the bathroom quickly. Have you seen my YouTube Don’t Make Coffee While Driving? It’s great having an RV because we live in it and even when we didn’t, we went camping a lot. But if you aren’t going to use the RV often, it may be worth spending less money and tent camping. Not to dissuade you from the RV of your dreams, but RVing can be expensive and they break a lot. If you have a really comfortable home to go back to after a trip, roughing it for a few days or even a month isn’t that bad. For example, when we went to Europe for six months it was too expensive to rent a camper for the entire time so we had to tent camp for 50 days. It was harder but definitely doable. My stepmom and little brother traveled this way a lot through the western United States and would pack a tent and camp stove in their car and hit the road. They’d break up the trip by staying occasionally in hotels. On our last Europe adventure, I rented us a house off of Airbnb for a few nights to give us a break from the extra energy it requires to be setting up and breaking down camp every day. 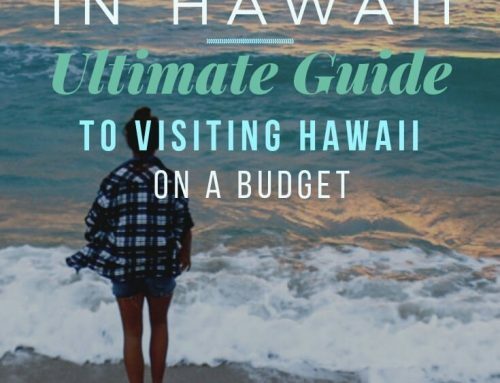 Every year we go to Hawaii and save a ton of money by tent camping. If you are just starting out with the camping experience, I suggest keeping the number of days of tent camping to less than five at first. If you can swing it, try renting a motorhome for a trip. Personally, this was a really good way for us to test out if camping regularly was going to be a good fit for our family (obviously it was). 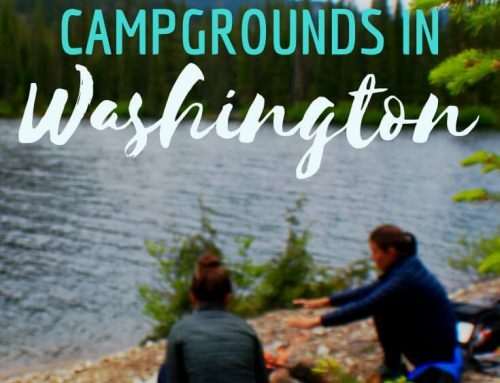 Can You Skip A Campground? We tend to travel fast and often I don’t want to pay for a campground if it’s literally just to sleep in for 8 hours so a lot of the time we just vagabond (or boondock as you may call it). This is what we call it when we wild camp, sleep on the side of the road, or in a parking lot. By not getting a campground every night, you can save a ton of time and money. With a motorhome or van (and an adventurous spirit) this is very easy while a trailer takes a little more time to hitch/unhitch and vagabonding isn’t quite as comfortable (but still doable). If you are tent camping, it will be more important that you have campgrounds booked ahead of time unless you are in areas (like Utah) where there are plenty of BLM’s. Would A Few Days In Airbnb’s Make Tent Camping Easier? If you are worried that tent camping might be too much, a road trip with hotes or Airbnb’s at night may be the best of both worlds. Plus, breaking up the trip with a few days in Airbnb’s can make your travel even lighter (you won’t have to carry along all your bedding) and can free up more energy for sightseeing and activities (you won’t be having to set up and break down your campsite). While tent camping through Europe (and in Hawaii) we used Airbnb to rent houses for a few days along the way. As much as I love camping, it was really nice to have a few days to recover, get reorganized, wash things, and feel a bit spoiled before getting back into the elements. more work to store and cook your food. Tip: Make sure you have a tent that has enough room to move around in and store at least a backpack in it. Also, spend a little more for good air mattresses (check out our Gear Guide for ideas). Tip: There are so many cool things you can do with a conversion van that if you really want to get off grid and find some incredible adventures, this is the way to go. Tip: Really think about where you want to go and how much you want to move. We’d love to go to a fifth wheel, but for now, we get off the beaten path too much for a fifth wheel. Tip: With both your pace may (but not always) be a little slower on the road, but at least you’ll have the convenience of moving around and the comfort of tables and couches to sit at while driving. My preference for motorhomes comes down to the fact that I like to be moving often and into small areas or down dirt roads so being more nimble works. Before you head out on your epic road trip, you should definitely do maintenance on your vehicle to make sure it’s running properly. However, I never have. I probably have too much of my dad in me and figure we will deal with the flat or the broken hose when it happens. I don’t recommend following in my footsteps. Be safe and get everything checked so you can enjoy your trip and not waste time at a repair shop. At the very least, put air in your tires and check the oil levels. We do carry an emergency kit with jumper cables, reflectors, and other helpful items. One thing I do before we head out on the road is start from a clean slate. If we are road tripping in our van, I clean it out completely before I start packing it up with all our gear. The same with our motorhome. I try to get rid of things that we won’t be using. I like to travel as light as possible and this is one element of that for me.